is proud to be one of the top Medical Aesthetic Practices in the Texas Hill Country. We are sought out for our minimally invasive cosmetic procedures. O Young MD is the most advanced and comprehensive laser center in Kerrville. We offer state of the art treatments for everything from acne to body contouring. Our most popular devices include SculpSure, Halo by Sciton, HydraFacial, laser tattoo removal, PicoSure, PRP and much more. We are proud to be able to provide the latest & greatest treatments & products. Skin Care favorites include HydraFacial, Senté, ZO Skin Health, Glo Mineral Makeup, Elta MD & More! From fine lines to volume loss, our team can assess your needs & provide the best & safest way to achieve them. Our most popular laser treatments are SculpSure, PicoSure, Halo by Sciton, SkinTyte II, & Forever Young BBL. Dr. Ode Young brings innovation in beauty to Kerrville, Texas and the Texas Hill Country. With each individual’s specific needs and goals in mind, Dr. Ode uses the latest in cosmetic science and technology, along with her artful eye, to design personalized treatment plans to restore, compliment and maintain each client’s youthful skin and healthy appearance. We believe in simple steps to enhance natural beauty along with education to ensure long term success of investment. We believe everyone can have beautiful skin and that each individual should embrace their own beauty. We want to enhance your natural features and polish your facial structure and symmetry. O YOUNG MD is a professional safe haven created to inspire clients to learn about and experience amazing skin rejuvenation. We build enduring relationships with our clients while providing result oriented skin health. Our vision is to incorporate state-of-the art technology with sound clinical knowledge and expertise to develop a unique treatment strategy for each client. Transform your skin to a beautiful, flawless finish. Emily Russ is a Licensed Aesthetician, Certified Sciton laser technician experienced Make-Up Artist and holds a Bachelor’s Degree in Business Management. She is trained and highly skilled in facials, chemical peels, laser hair reduction, product composition, complexion correction, cryotherapy, epidermal-leveling/ dermaplaning, make-up application, and waxing. Since 2006, Emily, has been a clinical skin care professional devoted to her client’s skin health and overall well-being. Her expertise allies in designing a customized treatment program to assure each client achieves their best possible results. 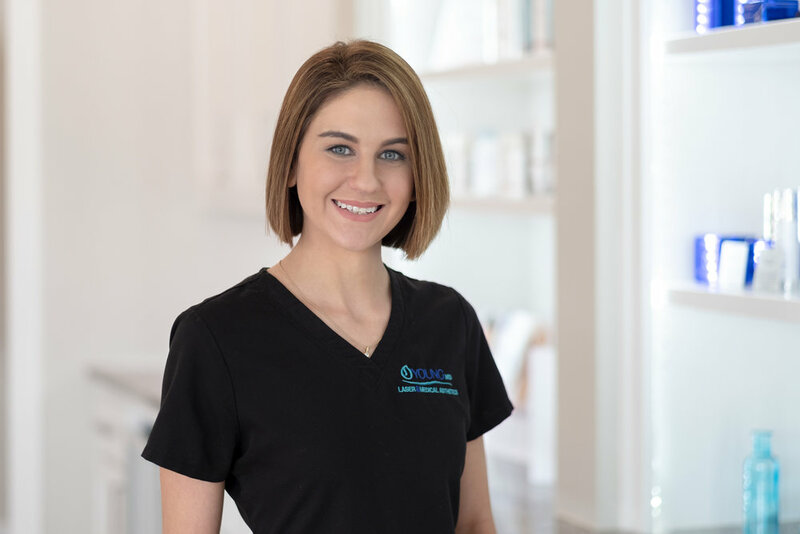 Emily cares about skin health and is dedicated to helping each of her clients accomplish their healthiest skin possible. Jenna, completed her Aesthetician training and licensure in Austin, Texas in 2009. She is proficient in spa facials and waxing treatments, chemical peels, makeup artistry and customer service. This experience combined with O Young MD’s medical setting allows her to provide concierge service with effective clinical skin care. Jenna considers it a privilege not only helps others achieve beautiful, healthy skin but to have a career that affects others confidence and self-esteem. 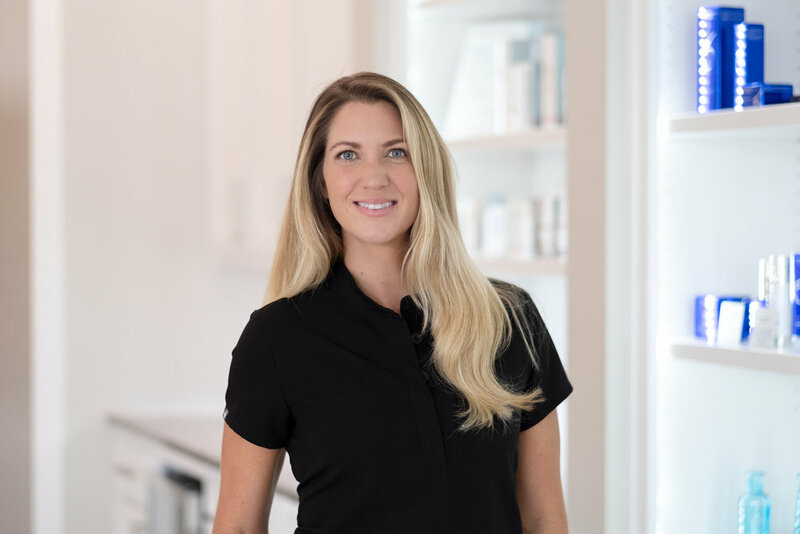 Jenna will help clients develop a skin health plan of action in order to accomplish their desired results, striving to help client’s look and feel their best. Michelle Casey is a Licensed Massage Therapist and also holds a Bachelor’s Degree in Environmental Science. She completed her Massage Therapy certification at Midland College. Michelle does client focused work, and tailors each session to fit each individual’s needs. Her mission is to support her clients on their path to finding personal wellness through massage and bodywork as an addition to their regular self care. Various techniques are utilized to create a unique session tailored to meet your needs. She is a strong proponent of massage for relieving physical as well as emotional stresses and believes massage is a viable modality for overall health and well-being. *Located just behind Medical Office and across the street from Guadalupe National Bank.